If you can’t beat them, ship them to Singapore. 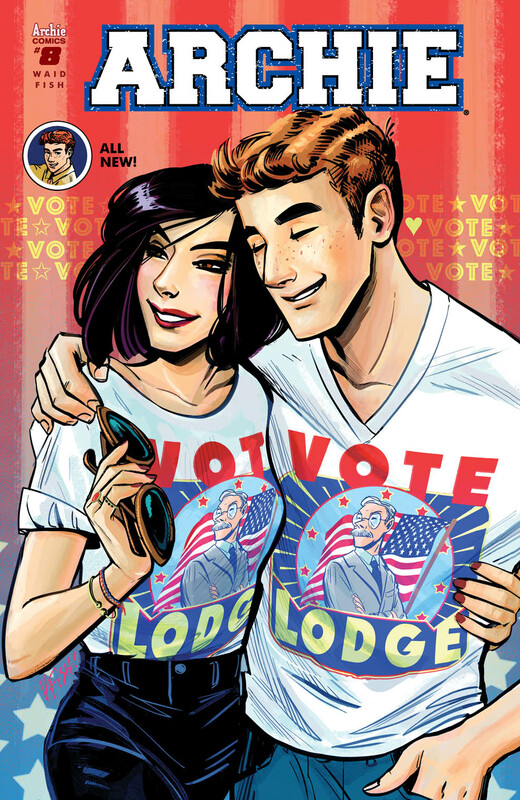 Mr. Lodge realizes he can’t keep Archie and Veronica apart, so he first attempts to employee Archie to use up all of his time. Of course as we know, Archie is a total clutz and just ruins every job he’s put in. With Archie not being able to keep employment, Mr. Lodge makes a bold move by offering Archie’s father a promotion, one that will take them to Singapore for the next year. Archie must work on saying goodbyes while deciding if he should ruin his dad’s happiness by letting him know he is only getting the promotion to break Veronica and him up. Waid manages to hit all the right notes this month, balancing the humor of watching Archie bungle numerous jobs, while also the emotional weight put on Archie’s shoulders on whether his happiness or his father’s is more important. It provides one of the most character defining moments yet for Archie in this new series, showing why he is a character to care about.